What was old is new again - we've all heard the adage. With that phrase in mind, we present to you the newest addition to the Fortis Aviatis line: the Pilot Classic series. 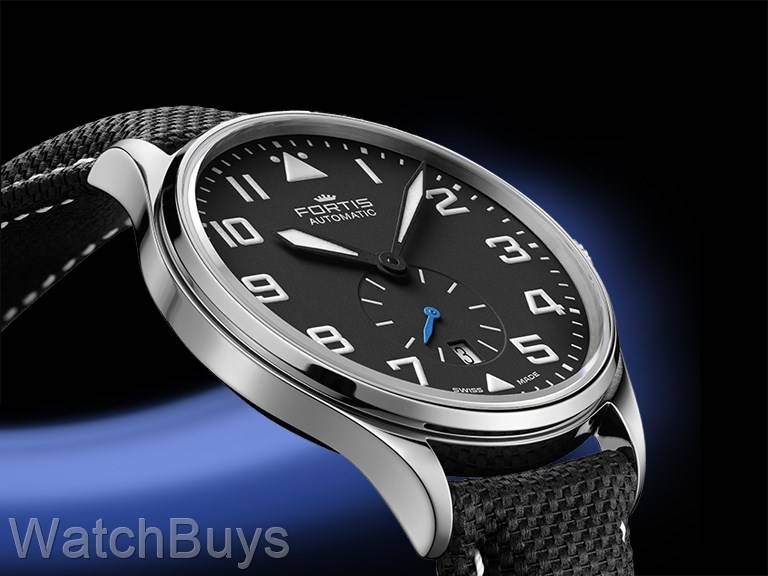 The Pilot Classic series is inspired by the early Fortis Flieger watches, which date back to the mid 20th century. This watch stands out in the collection with its blue sweep seconds hand located in the register at 6. The Pilot Classic Small Seconds features a matte black dial with white hands, numerals, and accents - all coated with Superluminova. A 60 second sub-dial and date window are both conveniently located at 6. The bright blue seconds hand on the sub-dial grabs your attention. Housed in a 40 mm, fully polished case, the Fortis Aviatis Pilot Classic Small Seconds certainly has wrist presence, while remaining thin enough to easily fit under a cuffed sleeve. The block-style, retro numerals stand out against the black dial and work well with the sword hands found on the watch. A leather performance strap gives the Pilot Classic Small seconds a sporty feel and makes the watch great for almost any occasion. This watch is a great fit for most wrist sizes with the 40 mm case design. This watch is fitted with a black Fortis Performance strap. 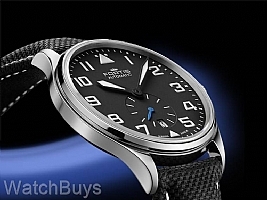 "Fortis Aviatis Pilot Classic Second"